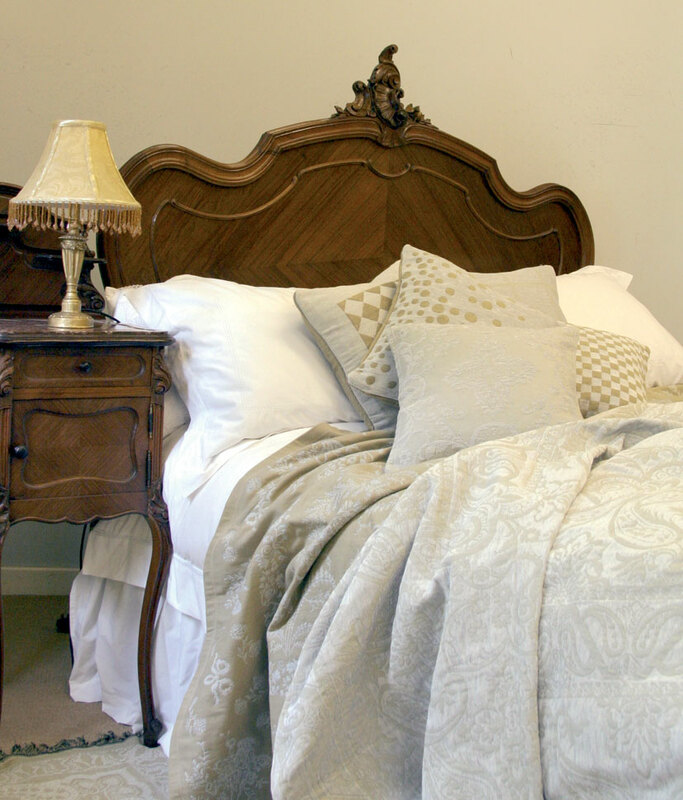 Most antique brass and iron beds were originally made in the standard sizes of singles or doubles, and so Divine Dreams specialise in adapting metal antique beds to the wider sizes of king size and super king size. Please select from the different thumbnail photos at the bottom to view examples and information of most sizes available. 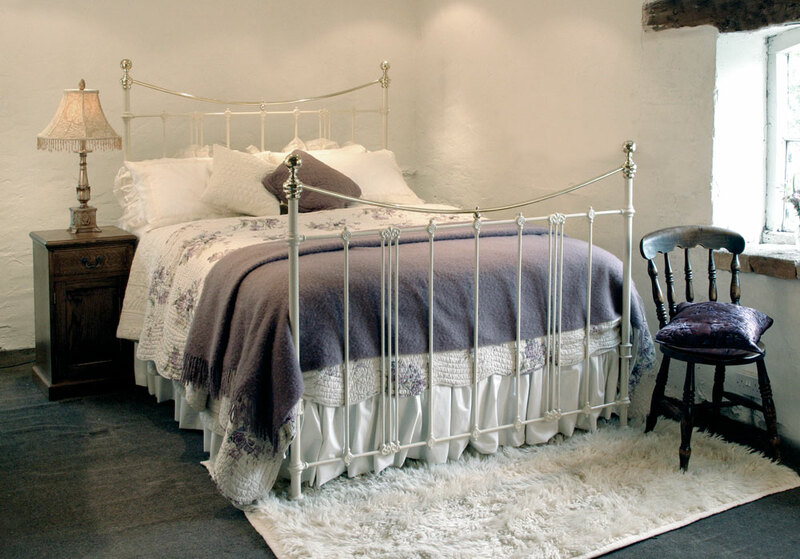 It is possible to alter the dimensions of many of these beds, for example we can extend to whatever length you wish and we can supply all the mattresses, bases and linen to match. 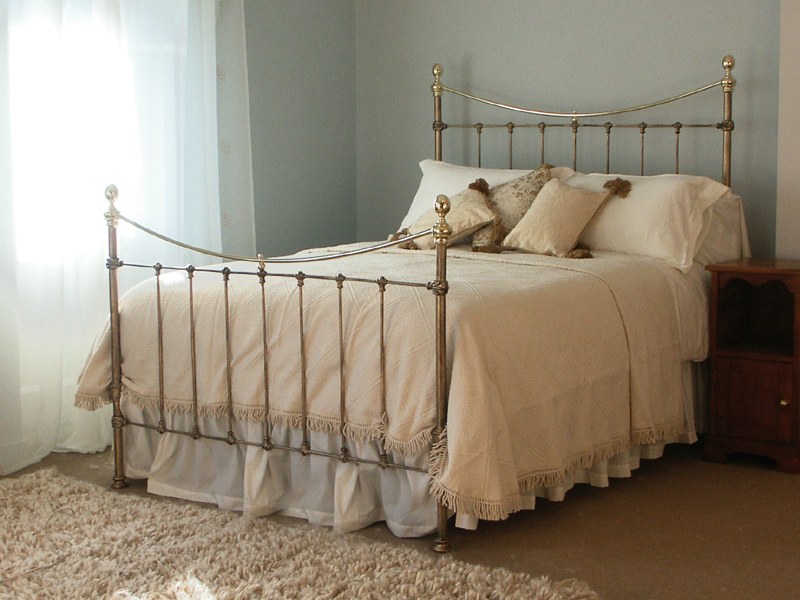 Also if you need a non-standard size we can create a bed of your choice from our bespoke range. There are some non-standard sizes not listed, for example 2ft 6in (small single) or 5ft 6in (extra-wide). Please enquire for these sizes if you cannot find examples on this site. We always recommend you contact us directly for specific requirements as we have many more items in our workshops or currently awaiting renovation. 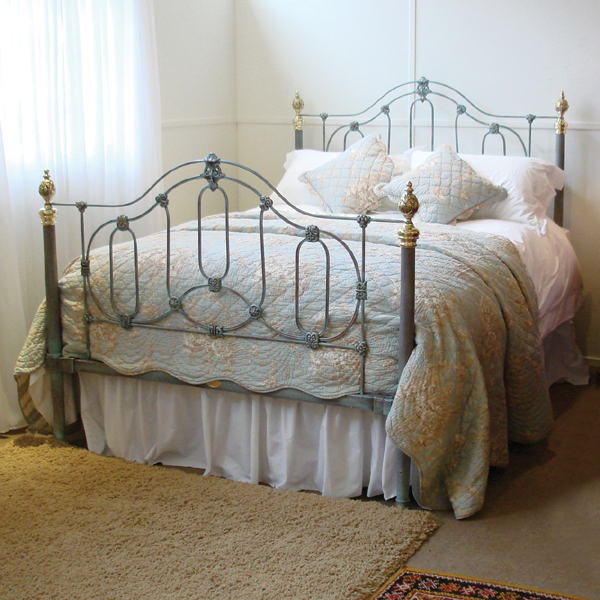 Standard Single These standard single size beds accept 3ft wide x 6ft 3in long (90 x 190cm) bases and mattresses. It is possible to lengthen this size to 6ft 6in long for an adult, particularly popular with matching pairs of singles. If you are looking for a narrower size we do find original 2ft 6in wide beds. Large Single These beds accept 3ft 6in wide x 6ft 3in long (105 x 190cm) bases and mattresses. This size is ideal for a growing child or teenager. It is possible to lengthen this size to 6ft 6in long for an adult, particularly popular with matching pairs of singles. 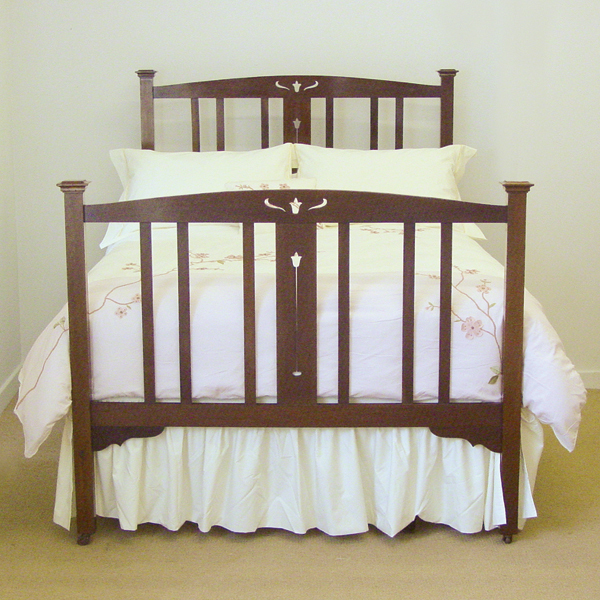 Small Double These beds accept 4ft wide x 6ft 3in long (120 x 190cm) bases and mattresses. Otherwise known as a three quarters bed, this size is perfect for a spare room or for a teenager. Standard Double The standard size in the UK, these beds accept 4ft 6in wide x 6ft 3in long (135 x 190cm) bases and mattresses. Many original metal beds are found in this size. The length can be altered if you wish. King Size These beds accept 5ft wide x 6ft 6in long (150 x 200cm) bases and mattresses. King Size is most popular size for two adults in the UK. The term King Size means different sizes in different countries, but we can cater for all variations. Super King Size This exceptionally wide size is perfect to create a statement in a larger room or simply to fit all the family in. These beds accept 6ft wide x 6ft 6in long (180 x 200cm) bases and mattresses. 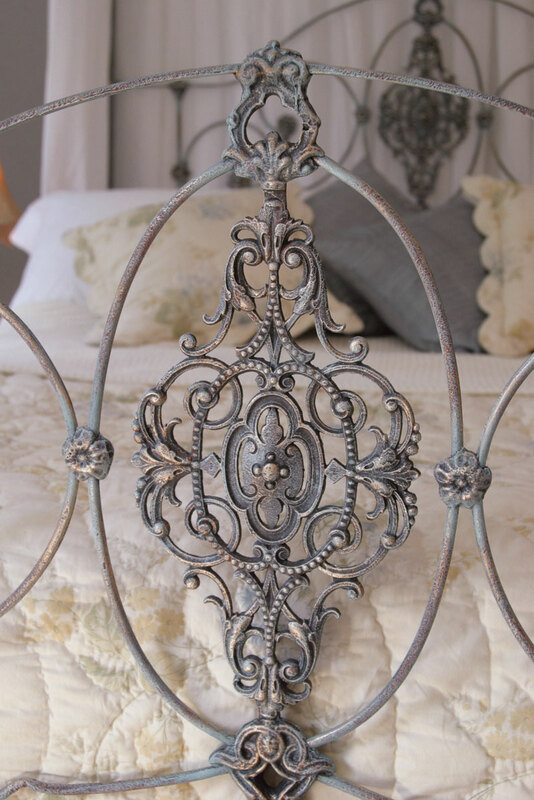 Divine Dreams specialise in adapting and extending metals beds to this width. 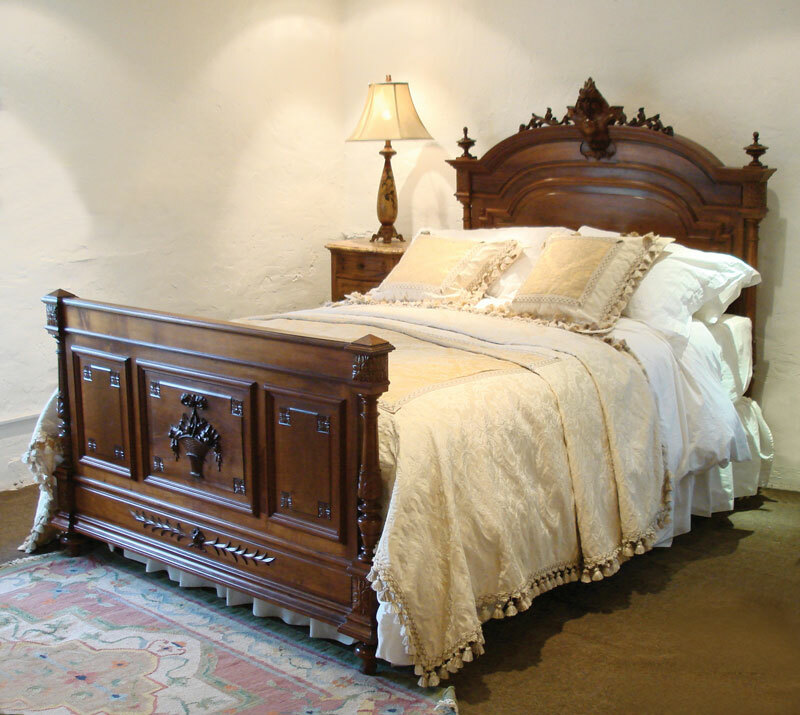 We source antique wooden beds both from the UK and the Continent. 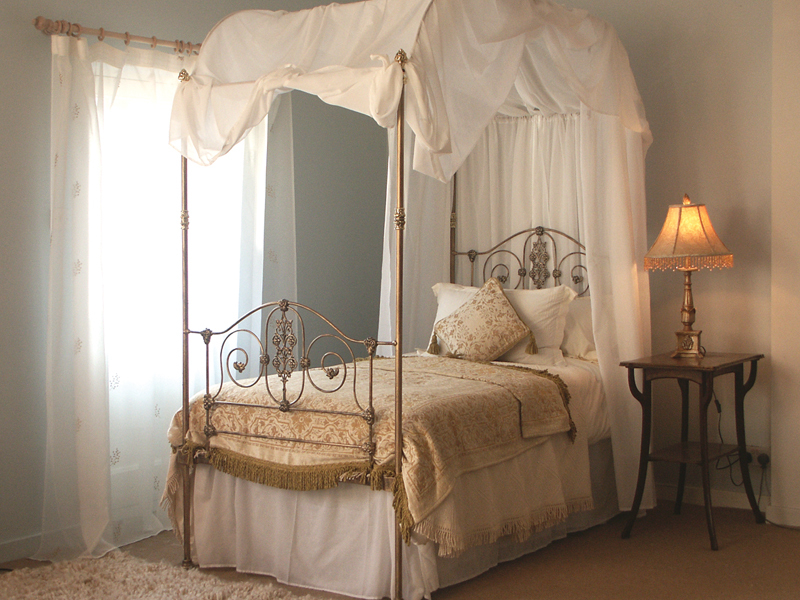 Consequently the dimensions of the beds can be in Imperial (feet and inches) or Metric (metres and centimetres). 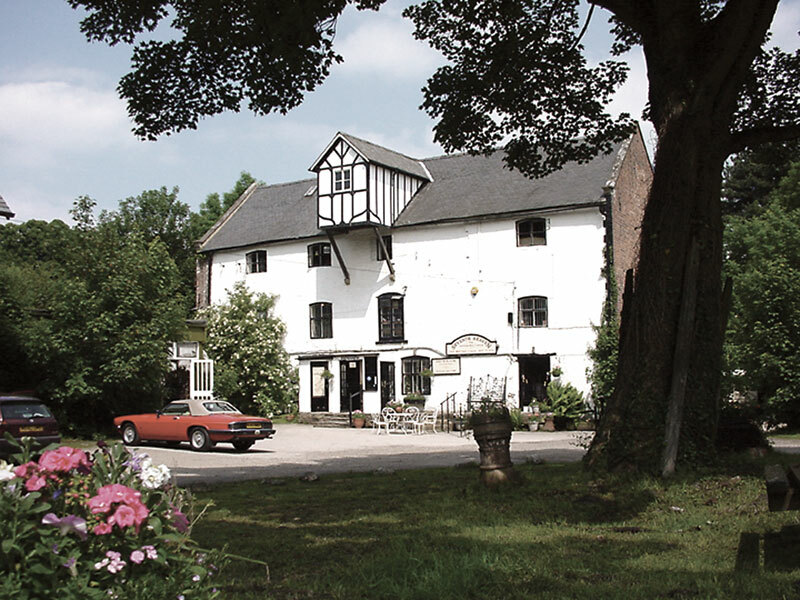 In most cases we adapt the Continental beds to accept standard British mattresses and bases, but in cases where adaption is impossible or where it is preferable to keep the bed as original as possible, we can provide Metric sized mattresses and bases. It is often the case that the original side runners are damaged, warped or too short so we adapt most beds with our metal structure. 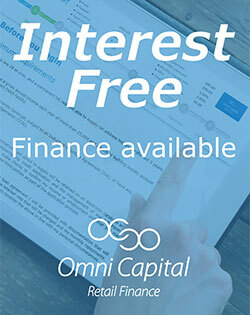 This ensures that the beds are sturdy and can accept the modern British size mattress and base. 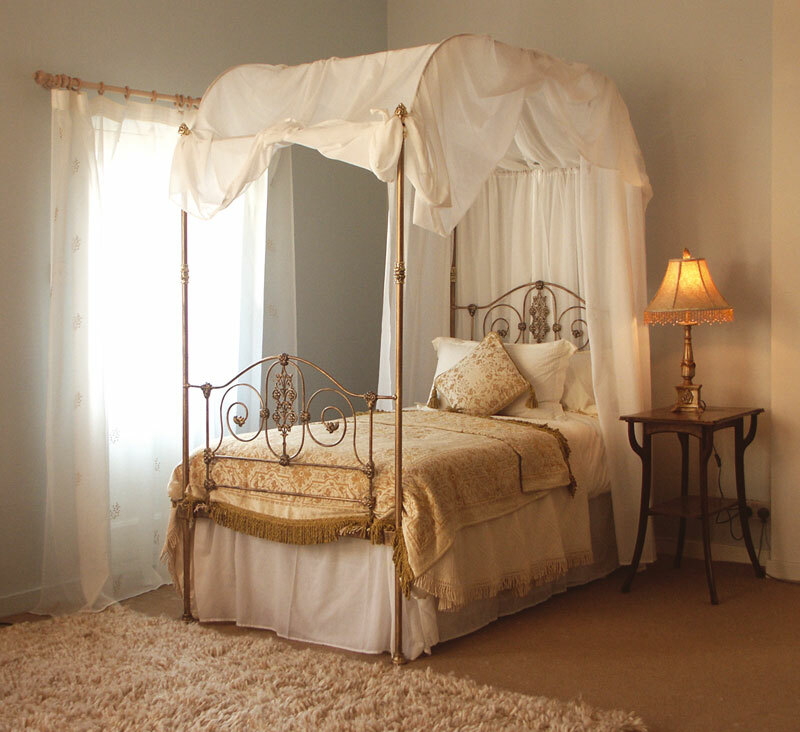 The pictures below give examples of different standard sizes of wooden beds. 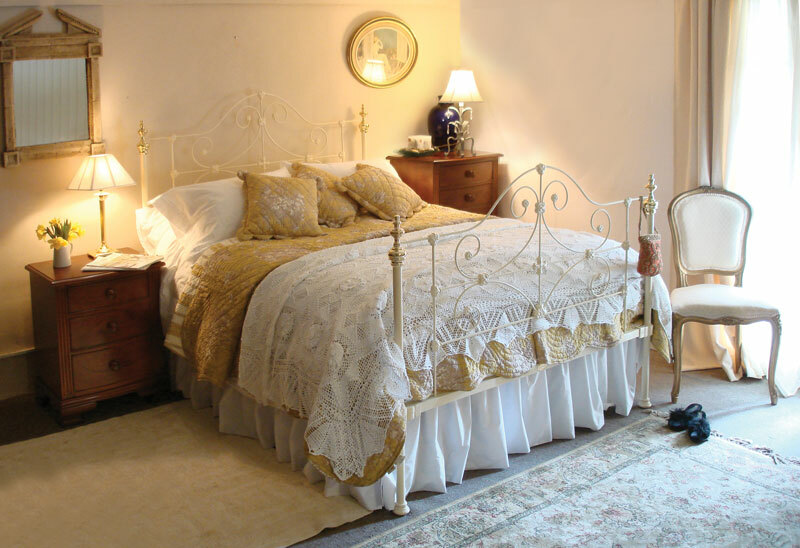 Of course antique beds often do not conform to standard dimensions and so we provide all shapes and sizes of bases and mattresses to suit. 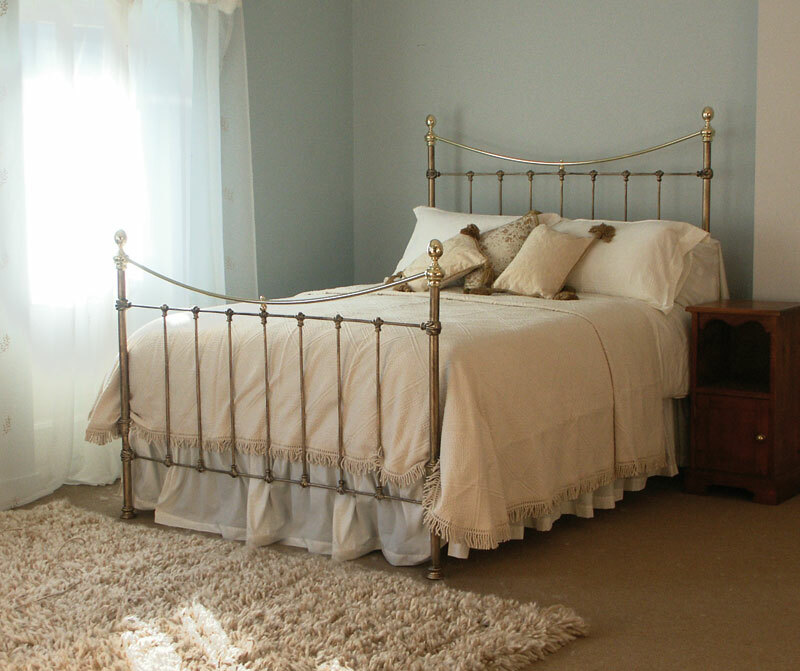 Single Sizes Antique wooden beds come in the single widths of 3ft (90cm), 3ft 3in (100cm) and 3ft 6in (105cm). They usually accept 6ft 3in long (190cm) bases and mattresses, but often we can extend the structure to accept 6ft 6in (200cm). This may be preferable for matching pairs of singles. Double Sizes The standard double size is 4ft 6in wide by 6frt 3in long (135cm x 190cm). 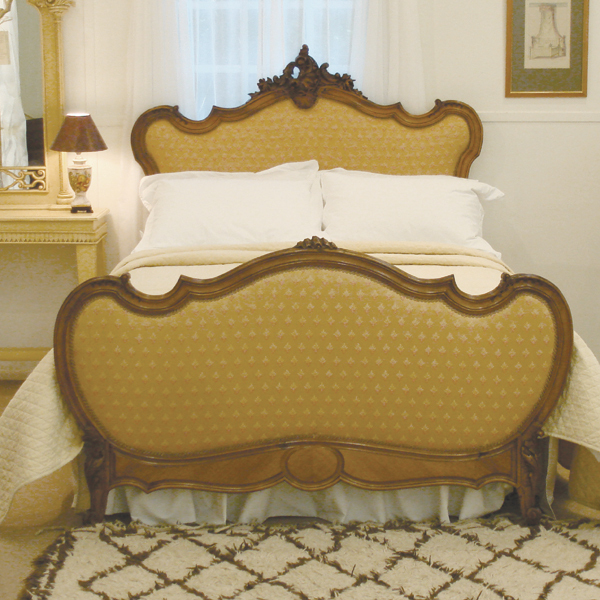 This is an extremely common size for original antique beds. 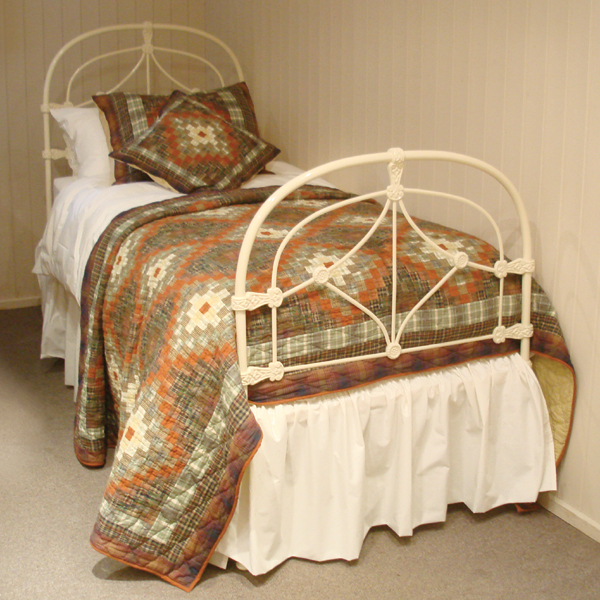 We also occasionally have small double beds, 4ft wide (120cm). King Size The British King Size is 5ft wide by 6ft 6in long (150cm by 200cm). 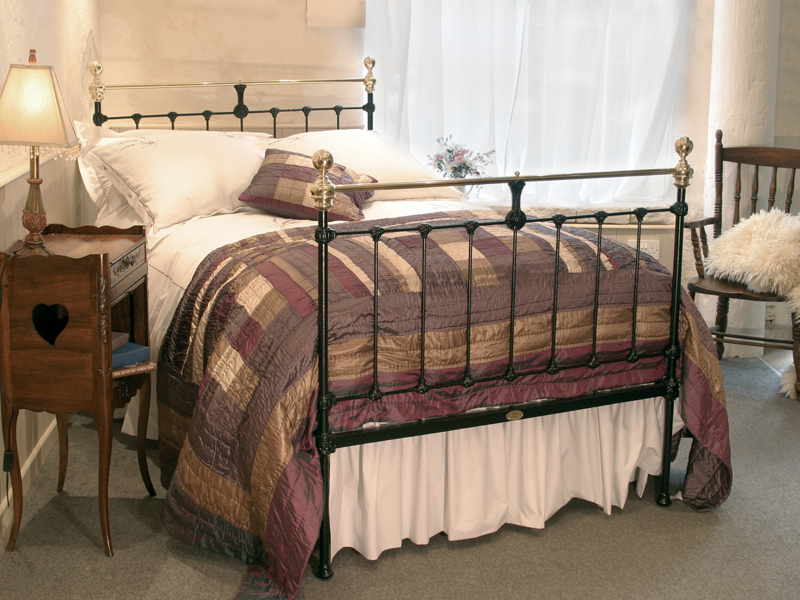 Very often antique wooden beds originate from the Continent, in which case we often replace the side runners with our metal structure to both lengthen the bed and provide a method for the wider mattress and base. This can result in a slight overlap on the sides. 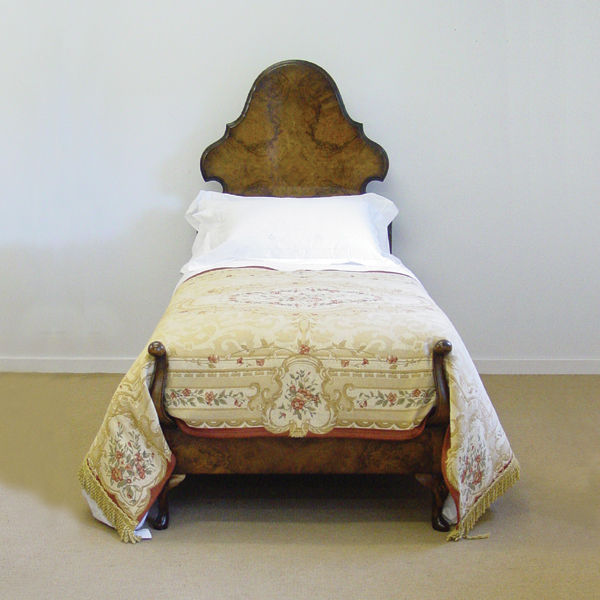 Extra Wide & Super King It is very rare to find extra-wide genuine antique beds, but we do occasionally find them up to Super King Size 6ft wide (180cm). They are more common in the Extra-Wide sizes of 5ft 3in (160cm) and 5ft 6in (168cm).